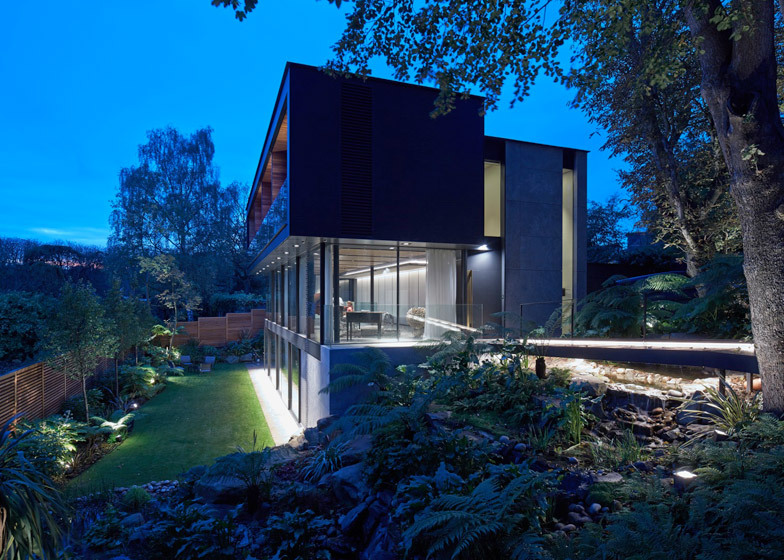 London firm Stanton Williams has completed a house in leafy north London with a timber and stone exterior, green sedum roofs and an entrance that brings residents over a bridge (+ slideshow). 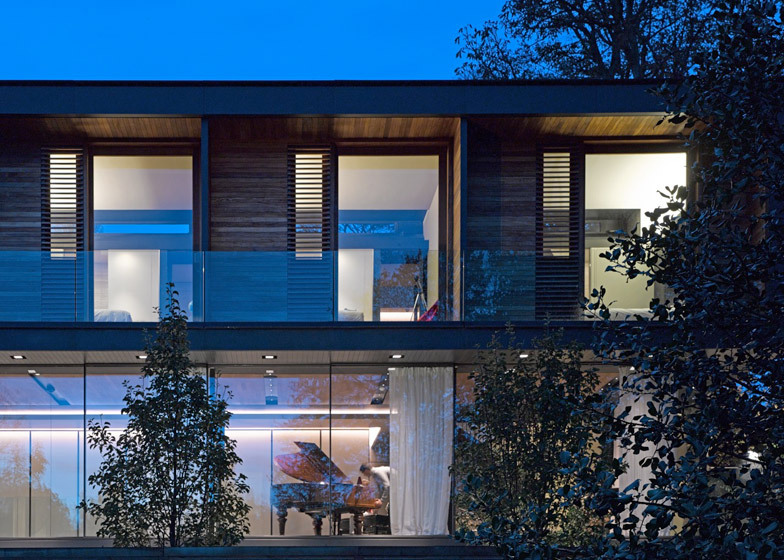 Designed to capture "the spirit of a tree house", the three-storey Fitzroy House replaces a 1950s dwelling, creating a new family residence with living spaces that open out to the garden and balconies facing out towards Hampstead Heath. 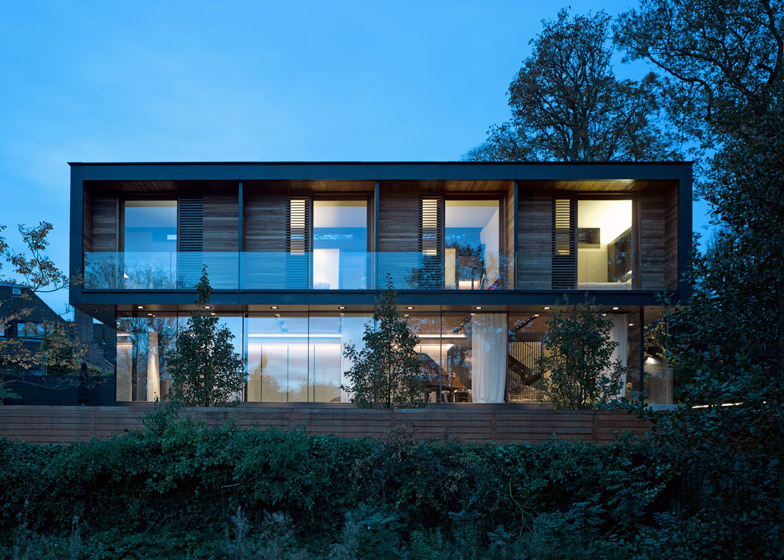 The sloping site enabled Stanton Williams to sink the lowest level of the house below street level, so the stone and metal bridge at the entrance connects with the building's middle storey. 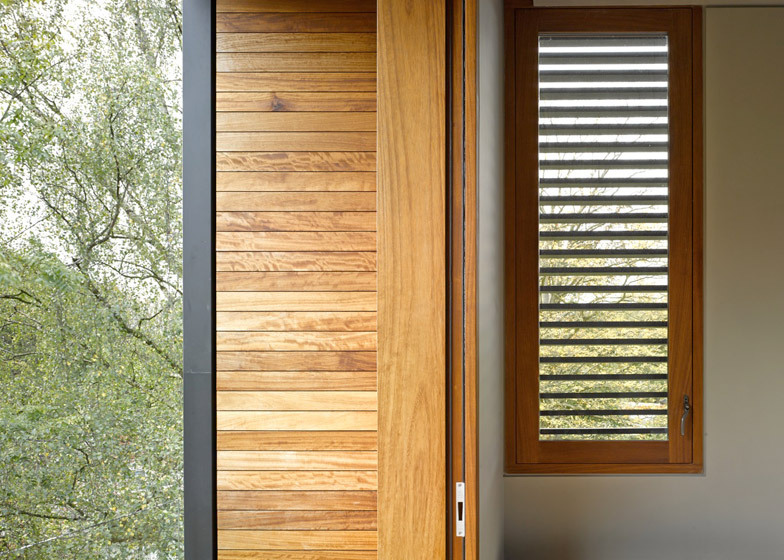 Large areas of floor-to-ceiling glazing form much of the building's exterior, but are contrasted with grey-painted Accoya timber panelling, oiled Iroko wood balconies and thin slabs of limestone. 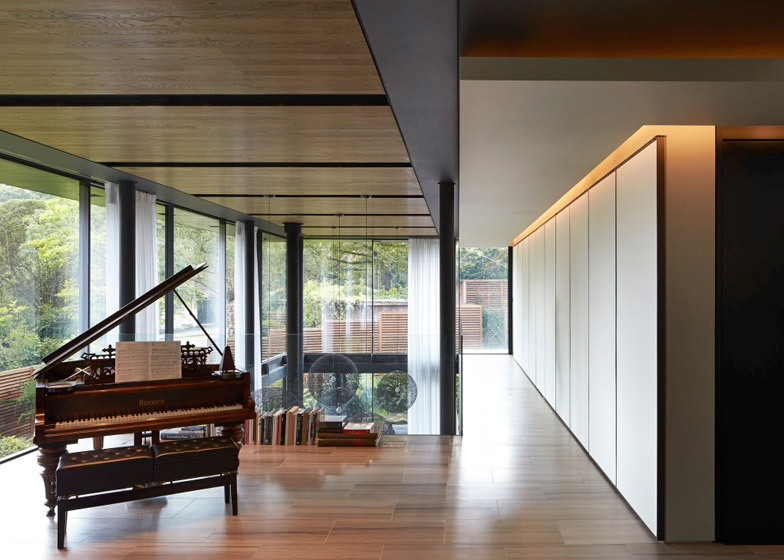 "Painted in dark grey, the timber brings additional texture and colour to the limestone on the exterior facade," said Stanton Williams, whose projects include the Stirling-Prize-winning Sainsbury Laboratory. 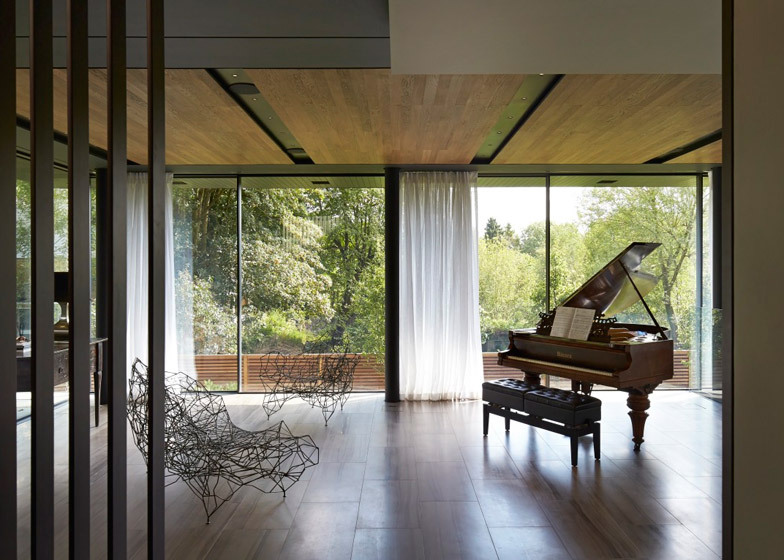 "The crisp and sharp protective exterior layers give way to softer warm interior spaces, with an extensive oak ceiling and floor laid out in limestone in the main living spaces," added the studio. 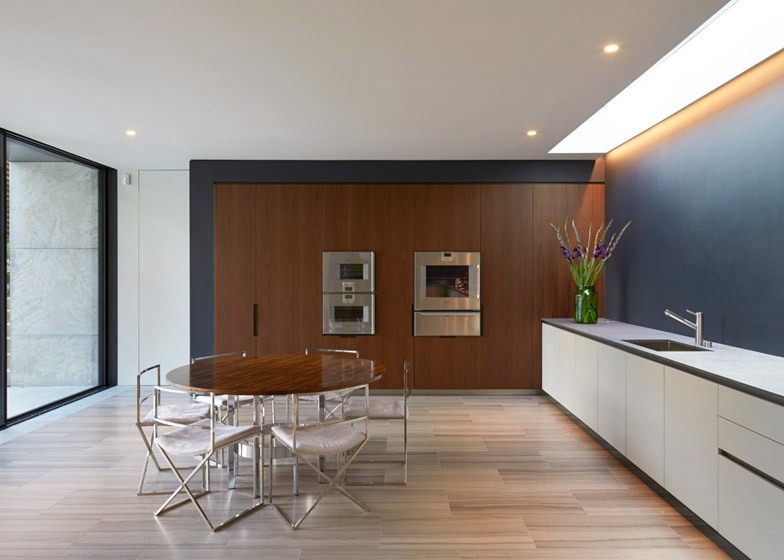 The lowest level contains most of the living spaces, which include a generous kitchen and dining space. 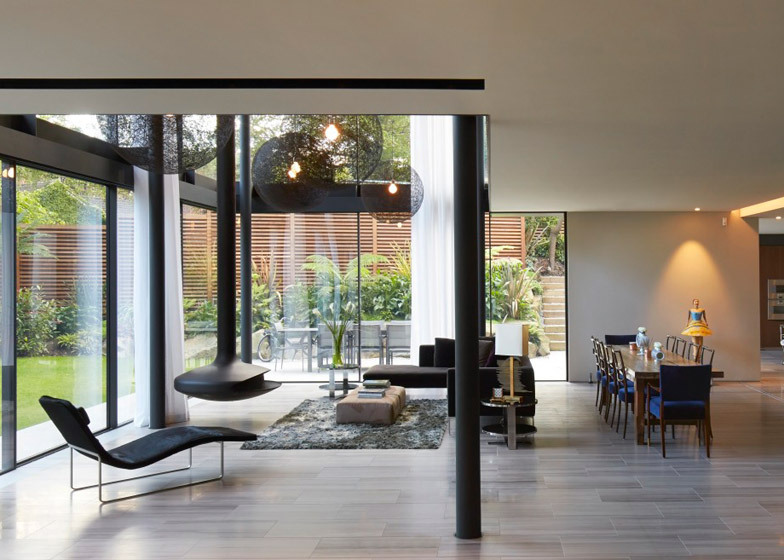 This leads through to a large lounge with a six-metre-high ceiling at one end and floor-to-ceiling glazing that opens the space out to the garden. 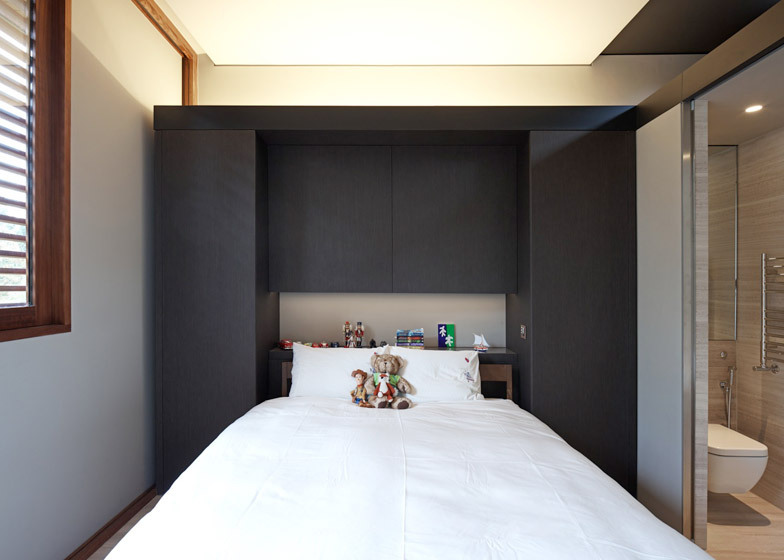 This room is overlooked by an extra living room above, which accommodates the family's piano. 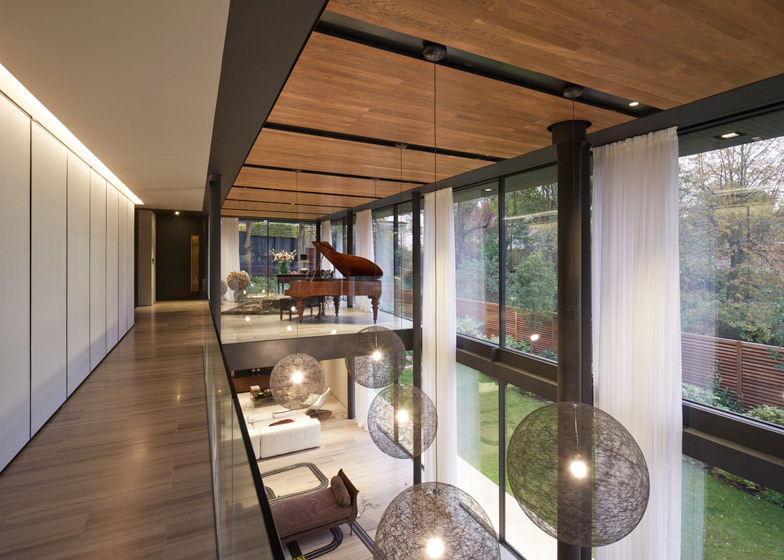 Four bedrooms are lined up along one side of the uppermost floor. 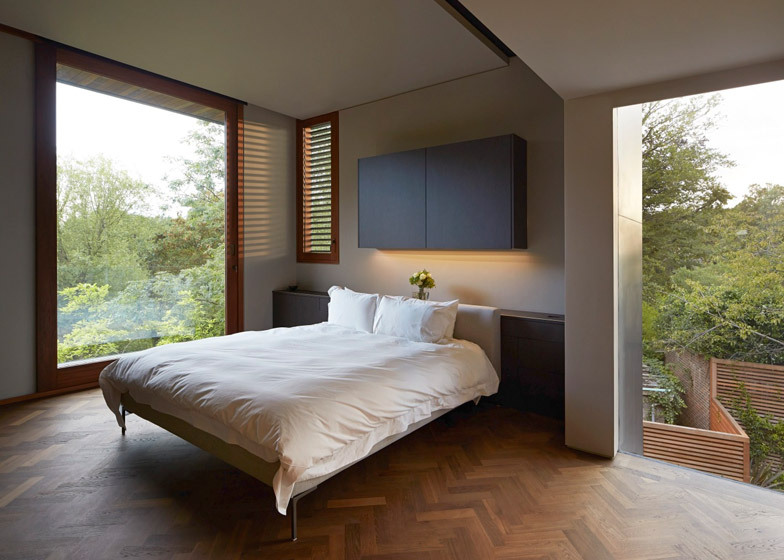 Each one has its own en-suite bathroom, as well as herringbone patterned flooring, and a private balcony sheltered beneath the overhanging roof. "These details ensure that the family can engage with nature at every possible opportunity throughout the seasons," said Stanton Williams. 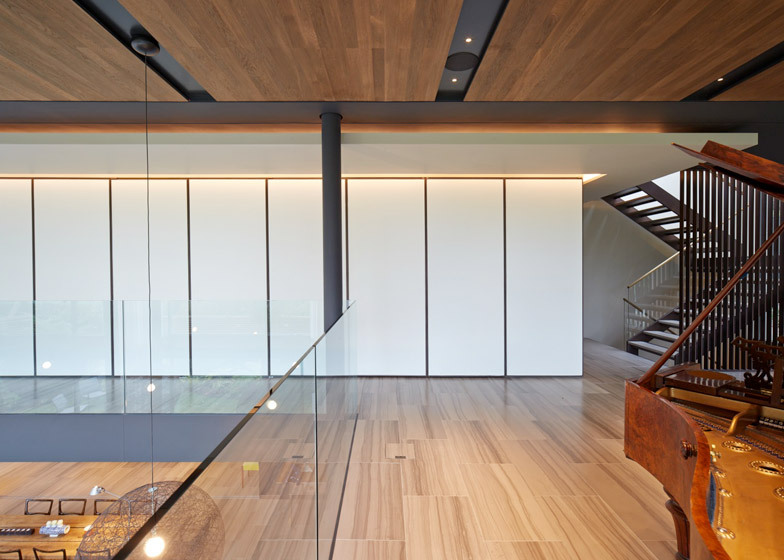 Handles and handrails throughout the house are fashioned from bronze, intended to place emphasis on "the raw materials found in nature", and a series of skylights ensures that plenty of natural light permeates the interior. 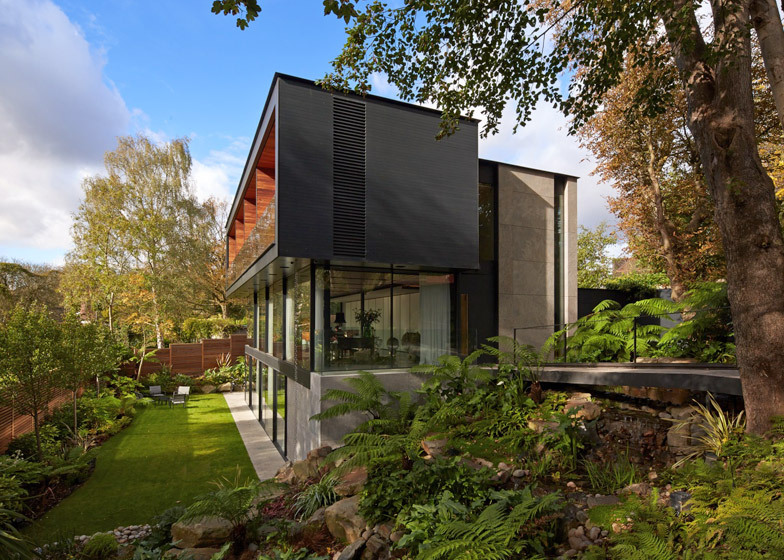 Stone paving is used as flooring on the lower level and extends out into the garden, where the architects have added a new swimming pool, sheltered by additional trees and landscaping.